If you’re of a certain age, you’ve been to (or have been invited to) a Mary Kay party. At these at-home socials, you’re treated to an afternoon of pampering and showered with beauty tips, ultimately learning that Cindy from down the block is a Mary Kay consultant and is hoping to sell you hoards of makeup and skin products. The trouble with this model? It’s inherently limited. Salespersons are limited by space, by the number of products they’re able to transport, and by the availability of the attendees. It’s also needlessly time-consuming. There must be a better way! These days, it’s much more likely that you’ll be invited to a “Facebook Party” than an at-home beauty soiree. For years, independent sales consultants from companies like LulaRoe have used Facebook Live as a means of connecting with their growing networks. Buyers can purchase limited edition leggings from a salesperson they trust from the comfort of their computer. Genius. In the world of content marketing, video is (still) king. By design, it’s a very personal tool, allowing consumers to see your face and hear your voice. It’s hassle-free, travel-free, screen-to-screen marketing that makes transactions incredibly easy. Facebook analytics allow you to see how each video performed in regards to reach, engagement and retention. Of course, you don’t need to be a direct sales consultant to take advantage this game-changing marketing tool. Brand Poets client Dr. Jason Emer, a cosmetic dermatologist in Beverly Hills, uses the feature daily to stream live procedures and share new products; from around the globe, viewers watch in real time and interact directly with Dr. Emer and his staff. Keep it personable. Unlike TV, you’re making a genuine human connection. Encourage participation. When users engage with you, they’re more likely to buy what you’re selling. Be bold. Think outside the box to capture more viewers. You’re creating content for others, so it must be enticing, educational and relevant—and it should never be self-serving. Use those analytics. They give you invaluable insight into what’s working and what isn’t. 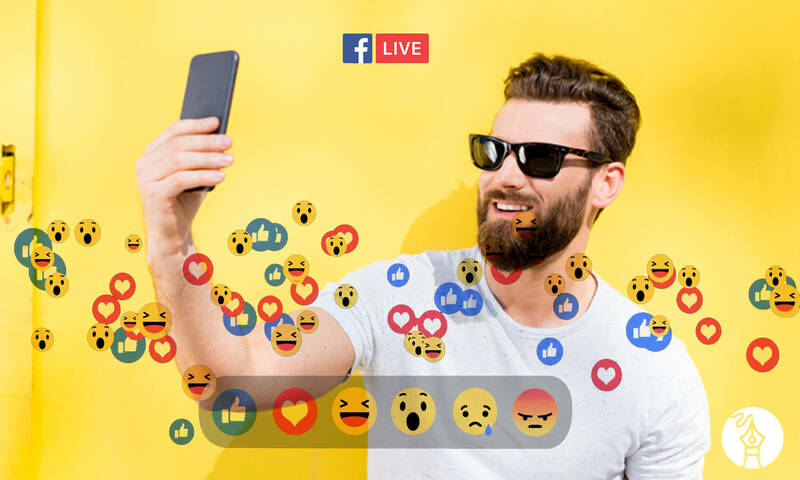 Regardless of how you use the device—whether you’re streaming a Q&A, hosting a “TV show,” giving a tour of your facility, or broadcasting a live event—keep in mind that Facebook Live’s uses are essentially limitless. So put your imagination to work, and put yourself out there. ### Article originally published in Community News. About Brand Poets Founded by Tana M. Llinas, Brand Poets is a collective of strategists, visual storytellers, and digital artisans crafting smart, poignant campaigns that command attention.